I admit, these sweet little princesses were not in my original plan when starting this project. I saw these at Hobby Lobby last week and thought they would be great to have on my princess party dessert table. But I forgot to buy them this morning and ended up watching the mother-to-be's kids while she went and had the star of our Princess Baby Shower this afternoon. (She's a beautiful little girl!) So I had to improvise and made these Disney Princess themed Brownie Bite Toppers. To make these I started by cutting out the print file of the Disney Princess Toppers. The toppers have princesses from The Little Mermaid, Cinderella, The Frog Prince, Sleeping Beauty, Snow White, Alladin, (Tangled) Rapunzel, and Beauty and the Beast. I tried both hand cutting these and using my cutting machine to do it. They weren't too hard to cut out, just time consuming and a lot of Little cuts. 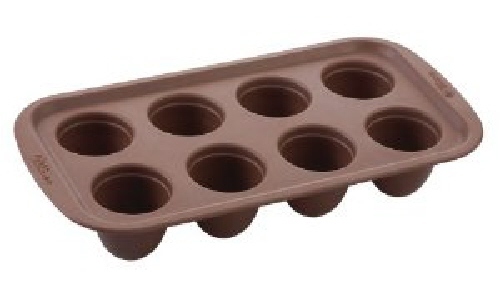 After I finished cutting them out, "Daredevil" and I baked our brownies in this fun brownie pan. I've been wanting this pan for a while after buying "Daredevil" this fun book for Easter. It has so many great ideas that I'm sure you'll be seeing variations of a lot on my blog. We filled the pan up 2/3 of the way full and cooked it on a cookie sheet at 350 degrees for 25 minutes. Some of the bites had tops on them, so we cut them off to make the bites stand up level. Then we dipped the end of a regular sized sucker stick into melted chocolate and placed it into the brownie bite as far as it would go. After the chocolate had hardened and secured into the brownie bite, I dipped the bite into colored chocolate. I tried to match each of the princess's dresses to the color of chocolate I dipped them in to. Then I simply glued the princess to the top of the stick. My sucker sticks left a little room between the princess and her dress, so if you don't want that, you could pull out the stick and glue the princess to the top of a toothpick instead. You can also spruce up each of the princesses' dresses by adding a little bit of chocolate in designs. I meant to, but with the extra 4 kids in my house today, it didn't happen. But I do plan on doing this before the new little princess' welcome baby shower! I had to try one of these so that the stick came down the bottom. I used a toothpick to attatch the princess graphic into the brownie bite. I also added our new Birthday Cake Pop liners. It looks pretty cute both ways! These are too cute! Oh the ideas! You could even do it with regular cupcakes too, maybe round them out a bit... hmmm! and YUM! So totally adorable! 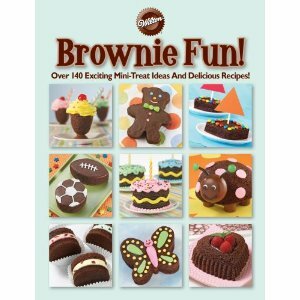 Anything made out of Brownies is a winner in my book. Bravo! These are so cute, I love them and know my little girls would too. Thanks for sharing such a fun project. These turned out so sweet! I love the princess toppers! Thanks for showing off! Hi! I love your creative brownie pops! I got some of those Wilton pans too...I tried to make them with a brownie mix but they did not get done in the middle. Is there a special brownie recipe to use with those brownie pop pans? I love the disney princess cutouts even more than the wilton ones. These turned out adorable! Thanks for linking up with DIY under $5!